Today 26 cities in the U.S. will officially celebrate Indigenous Peoples' Day. Those taking part reject the colonial myth that Columbus “discovered” America, and instead recognize the survival of indigenous bodies, cultures, and identity. 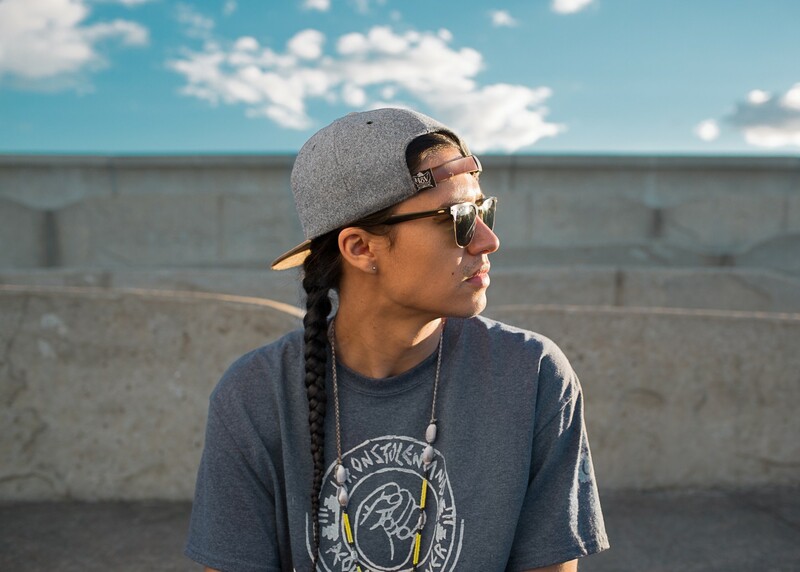 For Sicangu Lakota hip-hop artist Frank Waln, every day is spent honoring his indigenous relatives and ancestors through music and activism. To mark Indigenous Peoples' Day, The FADER is premiering a new single Waln wrote for the occasion, titled “7." Indigenous Peoples' Day is a holiday dedicated to honoring Native cultures and resilience. How does this song accomplish that for you? I'm talking about the silencing of indigenous voices in the discourse of justice in America. I’m talking about the erasure of indigenous people in the way history is taught in this country and people silencing us by pretending we don’t exist anymore. Our families are suffering, our land is being destroyed, and Americans turn a blind eye to it because that’s what settler colonialism has taught us all to do. Read how Indigenous Peoples' Day helped Braudie Blais-Billie find her voice.